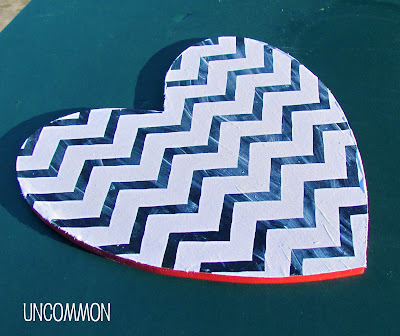 Today I am going to share our Chevron Heart Plaque tutorial with you! Before applying the fabric, I cut the ribbon handle off of my plaque and coated the plain side with spray adhesive. Then, I laid my fabric (this one is a cool chevron kitchen towel from Target) on top and made sure the pattern was going in the right direction. You will want to smooth from the middle of the heart out to the sides until the heart is completely adhered to the fabric. Let dry 15-20 minutes. Carefully, turn your heart over and place on a cutting mat. Now, trace the edge of the heart with an exacto knife. Be sure to use enough pressure to completely cut through the fabric. At this point you can add your ribbon for hanging or you can choose to seal your heart with modge podge. 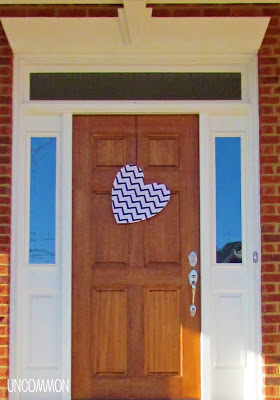 Since this was going to hang on my front door, I decided to use one coat of modge podge for protection from the elements. Let this dry completely. Add ribbon to the heart by threading it through a pre-drilled hole and attach to your door with a thumbtack. All done! I totally picked up 2 of these dishcloths from Target! I was wondering what I could make with it! You did great, love this idea! Thanks girl! On Thursday I’ll be posting on what to do with the remnants of the towel! Adorable and easy! I love projects like this. Sadly, we have no Target here in Japan, but we have this old v-day decoration and a different dishcloth from the 100 Yen store. She LOVED this project! Thanks for sharing! Sounds like my kind of store! I’m so glad that she liked the project! Take care! Super cute! 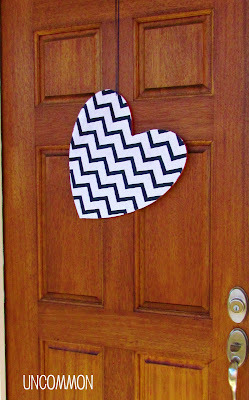 I love chevron and hearts and that you used a dishtowel! Thanks Jessa! Come back Thursday to see something else made with the leftover fabric! SO cute! Love chevron right now and this is just adorable. 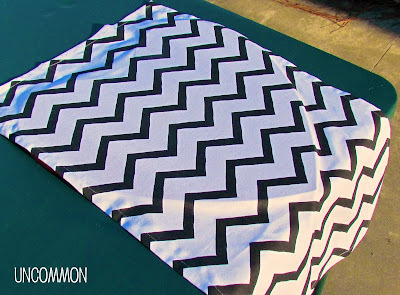 I have to go find that chevron fabric now!! Love the chevron! Thanks for sharing! 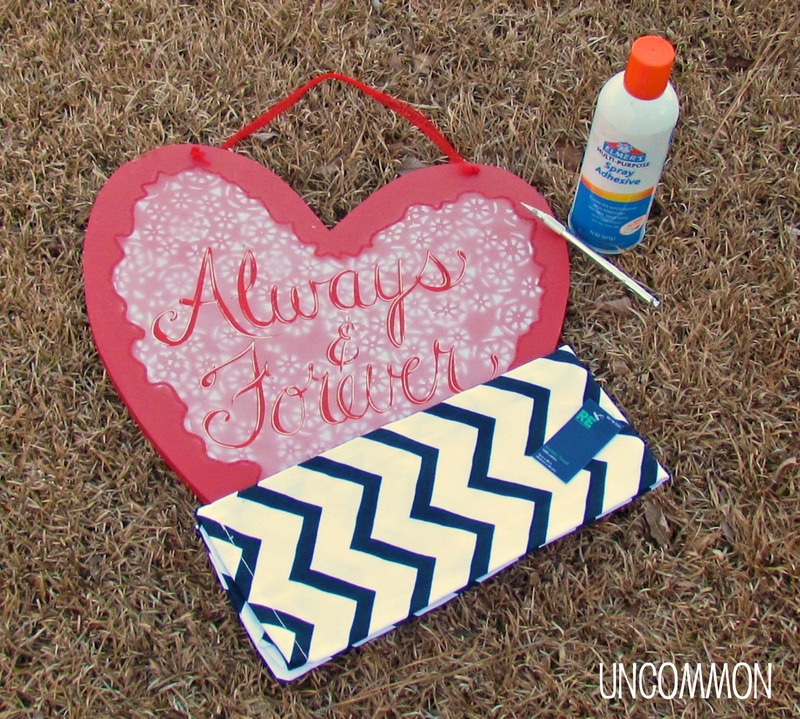 You had me at chevron! Simple and sweet!! Has a real energetic appeal! 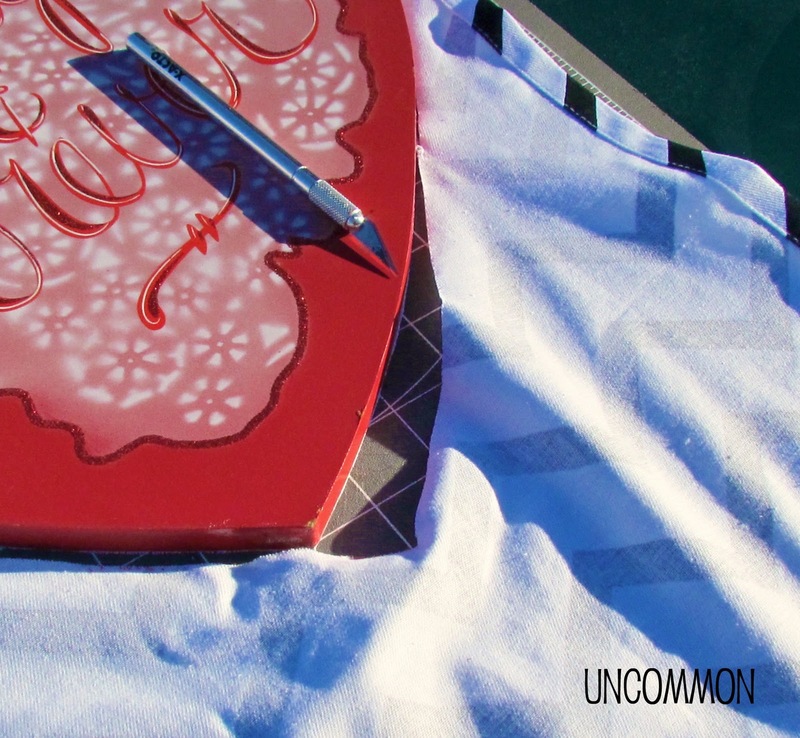 Thanks so much for sharing at the Kiss and Tell over at I Gotta Create! So cute!! I love it! I love the chevron pattern. Thanks for sharing this also at Thursday’s Temptation! SUPER CUTE!!! Chevron totally ROCKS! Thanks so much for sharing…can’t wait to see what you share at my party tomorrow!!! So cute! Thank you so much for sharing at Taking A Timeout Thursday! Hope you had a wonderful Valentine’s Day!